Bob Dylan never had any trouble getting backup bands. It was The Band for a time. Later it was Tom Petty. 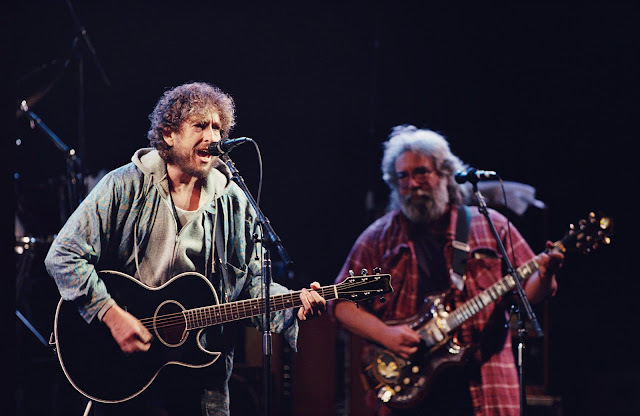 In summer, 1987, Dylan rehearsed with the Grateful Dead, his compositions mostly. The rehearsals were taped. I've been listening to these songs all afternoon. The really good stuff begins around track seven (out of seventy-four). This was after Dylan had released a couple of explicitly Christian albums and it is interesting to contemplate the Dead singing along with "Slow Train Coming," or "Gotta Serve Somebody."